How “Similar” is Similar Enough for New York Law to Trump a Choice-of-Law Provision? In WL Ross & Co. v. Storper, a recent Commercial Division decision involving the private equity firm founded by U.S. Secretary of Commerce Wilbur Ross, Justice Andrea Masley suggested that New York courts can disregard choice-of-law provisions if the law of the state specified by the choice-of-law provision is “substantively similar” to that of New York on the topic at issue. Attorneys who routinely draft agreements that contain choice-of-law provisions would do well to take note of this decision, as it may imply that more careful attention should be paid to such provisions when New York law is best avoided for strategic reasons. David H. Storper worked as an investment manager at the private equity firm WL Ross & Co. LLC (“WL Ross”) from 2000 to October 2012, eventually rising to the position of senior managing director. During his time at the firm, Storper became a controlling member of the companies “WLR II” and “WLR III,” which are the general partners of two investment funds managed by WL Ross. Storper executed WLR II’s and WLR III’s limited liability company (“LLC”) agreements, which contained non-compete covenants applicable to controlling members and retired members. On June 21, 2012, WL Ross and Storper modified these non-compete covenants to allow Storper to be employed by a competing company. The non-compete covenants allowed Storper to compete with WL Ross so long as he was an employee but not a principal of a competitor. In essence, the non-compete provisions were designed to prevent Storper from starting his own fund that competed with WL Ross. Storper then negotiated a separation agreement with WL Ross and retired from the company. Storper thereafter accepted employment with Seaport Global Holdings LLC (“Seaport Global”) and co-founded the merchant banking firm Armory Merchant Holdings LLC (“Armory Merchant”). 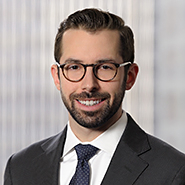 WL Ross, WLR II, and WLR III sued Storper for breach of the LLC agreements’ non-compete covenants, alleging that Storper stole confidential information about WL Ross’s investment strategies and employed it at Armory Merchant to compete with the two investment funds owned by WLR II and WLR III. Storper moved pursuant to CPLR 3212 for an order granting summary judgment against the plaintiffs. Justice Masley denied the motion. On its surface, Justice Masley’s decision is a relatively straightforward denial of summary judgment due to the existence of triable factual issues. After concluding that the non-compete provisions “prohibit Storper from competing with the business activities of WLR II, WLR III, WL Ross, or a WL Ross affiliate, in any capacity, except in the capacity of an employee of a competing company,” Justice Masley noted that several genuine factual disputes prevented a grant of summary judgment for Storper, including disputes over whether Storper is the co-founder and principal of Armory Merchant, as opposed to an employee; whether Armory Merchant is actually independent of Seaport Global; whether Storper engaged in certain activities prohibited by the non-compete covenants; and whether plaintiffs waived the alleged breaches. To support this point, Justice Masley cited the First Department’s decision in TBA Global, LLC v. Proscenium Events, LLC. In TBA Global, the parties differed as to whether New York or Delaware law should be applied to non-solicitation agreements that contained a Delaware choice-of-law provision. Because of the parties’ disagreement as to which state’s law should apply, the First Department engaged in a conflict-of-laws analysis and determined that there was no actual conflict such that New York law could be applied. But Justice Masley took things one step further in Storper: rather than assessing whether there was an actual conflict between the laws of Delaware and New York, she instead applied New York law because it was “substantively similar,” which would appear to be a different standard. WL Ross & Co. raises two interesting questions. First, how “similar” is “similar enough” for New York law to apply instead of the law of a state specified in a choice-of-law provision? Second, will other New York courts follow Justice Masley’s lead? While the courts sort this issue out, drafters of agreements containing choice-of-law provisions, and particularly those who regularly draft non-competition or non-solicitation agreements with New York employees, would do well to take note of this decision. No. 650107/2016, 2018 BL 15743 (Sup. Ct. Jan. 8, 2018). The actual names of the funds are of WLR Recovery Associates II, LLC (“WLR II”) and WLR Recovery Associates III, LLC, respectively. In a prior decision, Justice Oing dismissed a claim based on breach of the separation agreement. Id. at *1. See id. at *3-*5, *7-*8. Id. at *6. Justice Masley also rejected Storper’s attempts to invoke the doctrine of equitable estoppel. Id. at *6-*7. The plaintiffs’ briefs argued that Delaware law applied, whereas Storper’s briefing was more ambiguous, at times appearing to concede that Delaware law governed while at other times arguing that the non-compete clauses are illegal under New York law. See Index No. 65107/2016, NYSCEF Doc Nos. 60, 64, 103. Storper, 2018 BL 15743 at *2 (citation omitted) (emphasis added). 980 N.Y.S.2d 459 (1st Dep’t 2014).